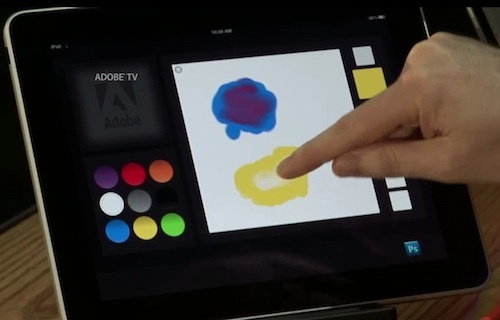 Building on that feedback, the company has now taken its first steps in that direction, as evidenced by a pair of brief demos at last week's Adobe MAX conference in which Adobe Chief Technology Officer Kevin Lynch showed off the company's content-aware fill tool running on a Samsung Galaxy Tab and a color-mixing paint palette application running on an iPad. Adobe's John Nack has also noted that the company's designers have begun mocking up other tools that could allow the iPhone and iPad to serve as extensions of Photoshop running on a desktop or notebook computer. 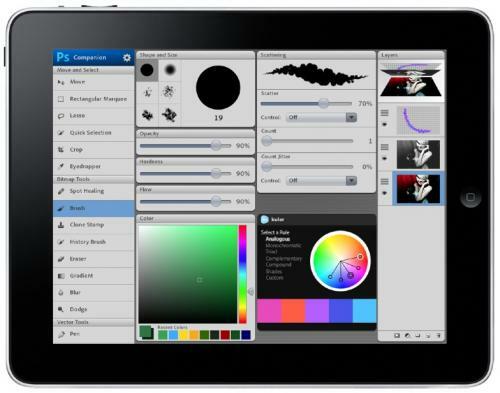 Among the ideas presented in a PDF summary of the team's efforts are custom toolsets accessible by tapping on a companion iPhone application, tutorials with tool accelerators to help quickly walk users through certain tasks, and companion iPad applications housing many of the commonly-used tools for easy access while also allowing for limited image editing (such as liquifying, painting, and drawing) using the multi-touch interface. 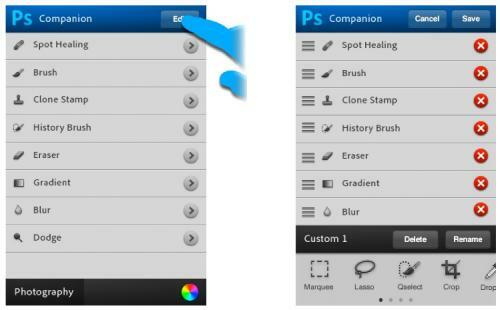 All of these latter concepts appear to simply be mockups at this point, but Adobe is clearly thinking about how best to take advantage of multi-touch functionality to enhance the Photoshop's functionality without attempting to replicate a full Photoshop experience directly on the touch device without the precision and power available on a traditional desktop or notebook.